Get the Excitement! 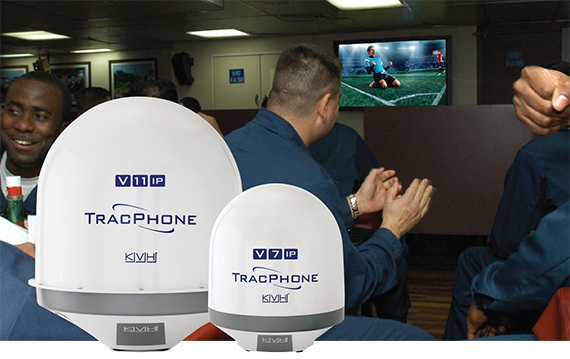 Trial IP-MobileCast™ Onboard your Vessel! Light up your crew with movies, breaking news, sports...and more! A 31-day trial, absolutely free, no strings attached. †A KVH Media Server is required for full access to MOVIElink’s blockbuster movies and TVlink’s great TV shows and series. For details, talk to your Sales Representative. Not available on C-Band beams, or on Ku-Band satellite beams in South American and African waters.